JOHANNESBURG (Reuters) - The RMS St. Helena, Britain's last working postal ship, was for nearly three decades the main source of contact between one of humanity's remotest islands and the outside world. Now the ship, cherished by the 4,500 residents of British-ruled St. Helena, will start a new life as a floating armory, packed with automatic weapons, bullet-proof jackets and night vision goggles, all stored for maritime security operatives. Renamed the MNG Tahiti, the 340-foot ship will undergo some tweaks before sailing to the Gulf of Oman where it will be used to ferry guns and guards to passing vessels navigating stretches of water lurking with pirates, its new operator said on Tuesday. "The ship is good to go with a few adjustments," said Mark Gray, a former British Royal Marine and founder of floating armory firm MNG Maritime. "By the middle of the year we hope to have her operating." 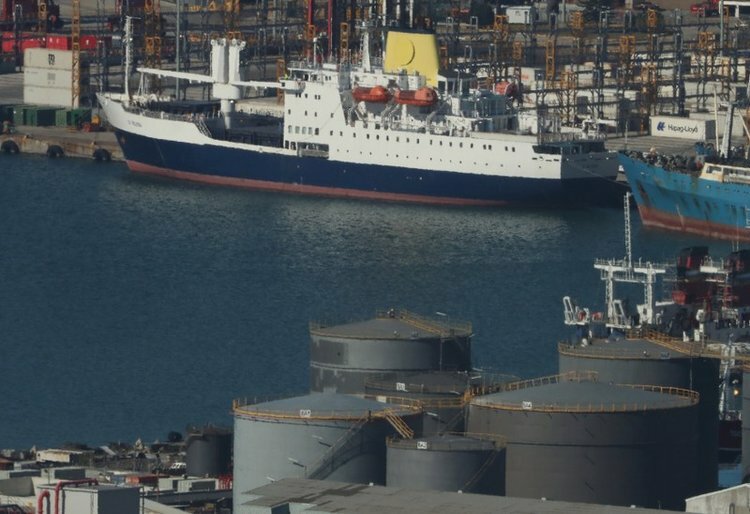 Tahiti Shipping, a subsidiary of MNG Maritime, bought the ship for an undisclosed fee on Tuesday, the St. Helena government said in a statement. The construction last year of a commercial airport on the isolated island in the middle of the South Atlantic rendered the 156-passenger ship obsolete, prompting St. Helena authorities to put it up for sale and begin planning a gala farewell. Before weekly flights to South Africa began in October, a five-night voyage to Cape Town on the RMS St. Helena was the only major transport route off an island made famous as the windswept outpost where French emperor Napoleon Bonaparte died. The yellow-funnelled ship was purpose-built by the British government in 1989 to service the island and is the last of a royal mail fleet that once connected the far-flung tentacles of the old British Empire. Its final voyage was marked with a public holiday on St. Helena, with flag-waving crowds gathering on the rocky coastline to catch one last glimpse of the ship that had delivered them everything from car parts to Christmas turkeys. A flotilla of fishing vessels and yachts flanked the ship with those on board popping champagne corks as plumes of balloons were released into the sky to cheers from St. Helena residents, known locally as "Saints". "I fully appreciate the role this vessel has played in all Saints' lives," MNG Maritime's Gray said. "It is not a responsibility we take on lightly. We will continue to treat her in the manner to which she has become accustomed."